Composure was the key word in helping the Kingsmen punch their ticket to Baseball’s Class 4-A Final Four. 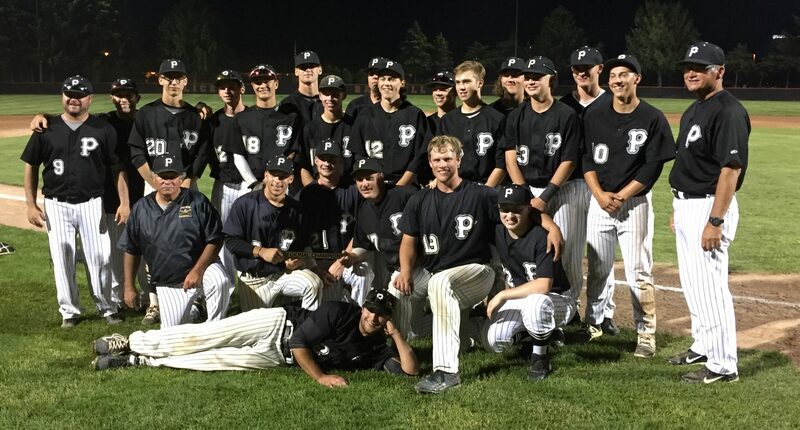 Penn High’s Baseball Team captured its third consecutive Regional Championship and 10th in program history by defeating Andrean, 9-4, in the Class 4-A Regional Championship game at LaPorte on Saturday, June 3, 2017. 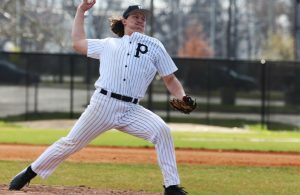 Penn defeated Lake Central, 6-2, in the first regional game on Saturday. Penn (26-6) takes on Zionsville (22-11) in Class 4-A Semi-state action on Saturday, June 10. The IHSAA will announce on Tuesday the time and location (Kokomo or Plymouth) of the game. Last season, Zionsville defeated Penn, 8-5, in the Semi-state. Coach Greg Dikos’ Kingsmen displayed remarkable composure as Penn rallied from deficits in each game, and by knocking off Andrean and Lake Central, the Kingsmen avenged two previous losses. 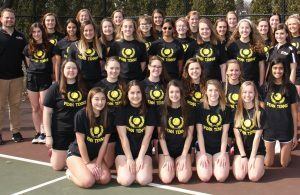 Andrean beat Penn 14-11 on April 8, and were defeated by Lake Central 20-8 on April 22. The Kingsmen beat Lake Central 9-4 in the first game of the doubleheader on April 22. Senior Niko Kavadas blasted three hits and drove in four runs to power the Kingsmen attack against Andrean. Matt Kominkiewicz had three hits. Nolan Metcalf and Ryan Lynch had two hits each, and Ryan Lau drove in two runs. The 59ers took a 4-2 lead in the third inning, but the Kingsmen struck back in the fourth inning for five runs and a 7-4 lead. Trevor Waite ignited the Kingsmen uprising in the fourth inning with a sacrifice fly. Kavadas then lashed a two-run single for a 5-4 Kingsmen lead. Nolan Metcalf and Nathan Lovisa drove in runs for the 7-4 lead. 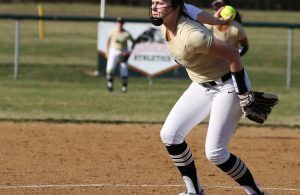 Kavadas ripped a two-run double in the fifth inning for the Kingsmen to expand the lead to 9-4. Lynch earned the victory, pitching 5.1 innings. Chase McKenzie pitched 1.2 innings to seal the deal. Penn also rallied from a deficit against Lake Central in the first Regional Game. Lake Central led 2-0 after three innings when the Kingsmen offense kicked into high gear. Lynch lined a two-run single, and Lovisa and Lau contributed RBI singles for a 4-2 Kingsmen lead in the fourth inning. Waite hammered an RBI triple in the fifth, and scored on a single by Kominkiewicz. Metcalf and Lynch ended up with two hits each. Pinch-runner Brock Boynton scored two runs. Kameron Koch pitched a complete-game to earn the victory. Koch’s quality start limited Lake Central to two runs on seven hits. He struck out one and gave up no walks.